Earthquake experts say an Italian court's decision to convict a group of scientists of manslaughter in relation to a 2009 quake is likely to send a chill through the scientific community. 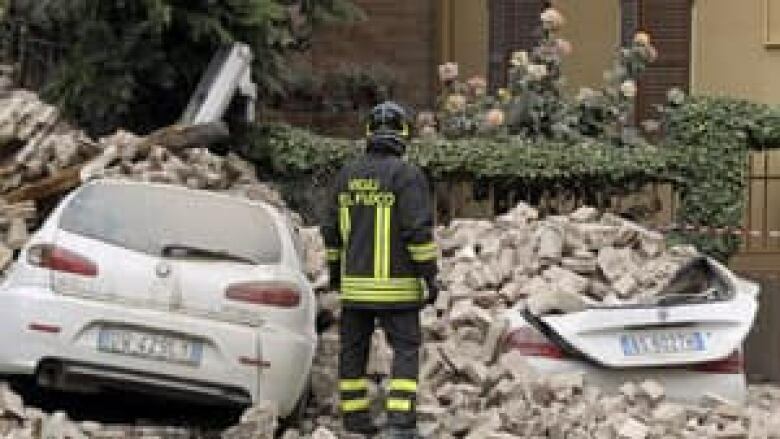 Earthquake experts say an Italian court’s decision to convict a group of scientists of manslaughter in relation to a 2009 earthquake is likely to send a chill through the global scientific community. "It’s a travesty," says Canadian earthquake expert Gail Atkinson. "I think that, unfortunately, what it will result in is seismologists and other scientists being afraid to say anything at all." The court ruled on Monday that six scientists and one ex-government official were guilty of manslaughter for failing to adequately warn Italians about a deadly 2009 earthquake in L'Aquila, in the Abruzzo region. Each defendant was sentenced to six years in prison. The decision aroused rancour in the scientific community. On Tuesday, an editorial in the esteemed journal Nature stated that the "verdict is perverse and the sentence ludicrous." On the same day, four top Italian disaster experts quit their jobs, saying the ruling will make it impossible for them to perform their duties. That feeling of reticence extended beyond Italy’s borders. "I just think scientists are going to be reluctant to deal with the problem, particularly government scientists," says John Clague, a professor in the department of earth sciences at Simon Fraser University and a member of the Royal Society of Canada. "Academics like myself, we’re going to be very guarded about the words we use" to talk about seismic activity in any particular geographical region. 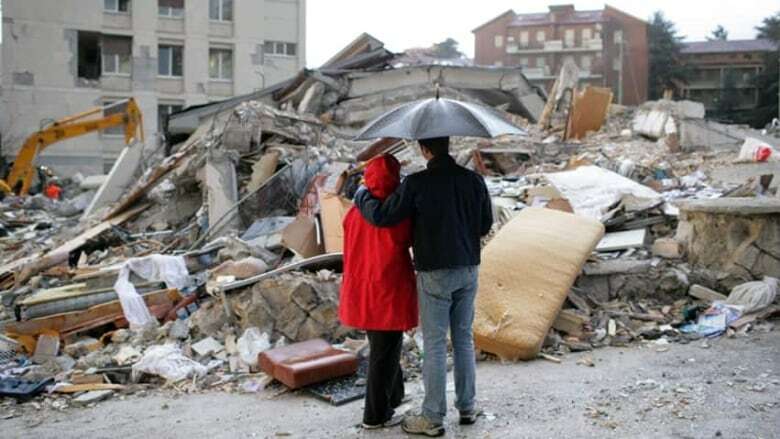 The 6.3-magnitude quake on April 6, 2009, killed 309 people, injured about 1,500 others and laid waste to most of the buildings in the medieval town of L'Aquila. Since the beginning of the 13-month trial, seismologists around the world have stressed that given current technology, there is no way to accurately forecast an earthquake. In an interview with Nature at the outset of the trial last September, Italian prosecutor Fabio Picuti acknowledged this fact, saying, "I’m not crazy. I know they can’t predict earthquakes." When the trial started, Judge Giuseppe Romano Gargarella said that the defendants "gave inexact, incomplete and contradictory information" about whether a series of small tremors in the six months prior to the 2009 disaster were significant enough to issue a quake warning. But others said the crux of the trial was not earthquake prediction, but risk communication. In a blog post for Scientific American, journalist David Ropeik wrote that none of the scientists on the Great Risks commission, the national government body that evaluates the potential for natural disasters, actually spoke with the public about the possibility of an earthquake. That task fell to Bernardo De Bernardinis, a government official who was not a seismologist, and who tried to assuage public concern by glibly suggesting they relax with a glass of wine. De Bernardinis was among the defendants in the case. Other defendants included Franco Barberi, head of the Great Risks Commission and Enzo Boschi, the head of the national Institute of Geophysics and Volcanology at the time. While there is no way to accurately predict a quake, Ropeik writes that "the scientists did a horrible job of communicating." In the months preceding the 2009 earthquake, the area had experienced a so-called "swarm" of seismological events, the biggest of which hit a magnitude of 4.3. This swarm increased the probability that a larger quake could follow, but the actual chance of it happening had only marginally increased. Atkinson, a University of Western Ontario earth sciences professor and Canada Research Chair on earthquake hazards, says that scientists aren't really cut out for public relations. "I think that the difficulty is that when scientists speak, they like to equivocate," says Atkinson. "They say things like, ‘There’s a two per cent chance that there could be a large earthquake, but a 98 per cent chance that there won’t be,' " said Atkinson. "And that’s not really what the public wants to hear. "The public wants the scientists to say there will be one or there won’t be one. And I think it’s hard for the public to understand that a scientist can’t say that." Michael Bostock, a University of British Columbia professor of seismology, says that there needs to be a clearer definition of roles for scientists. He says that the role of scientists should be "to provide objective information about natural hazards" to civic officials, whose role in turn should be "to weigh the benefits of protective actions against the costs of sending out alarms," as well as conveying the information to the public. Clague concedes the Italian scientists did a weak job of communicating the seismic peril, but wonders whether a more ominous warning would have altered people’s behavior. "What if they had said that, within a week, there might be a devastating earthquake? Would it have changed public behaviour? I doubt it, because you can’t predict these things with any certainty at all," says Clague. "That would have just put people in a more anxious state."